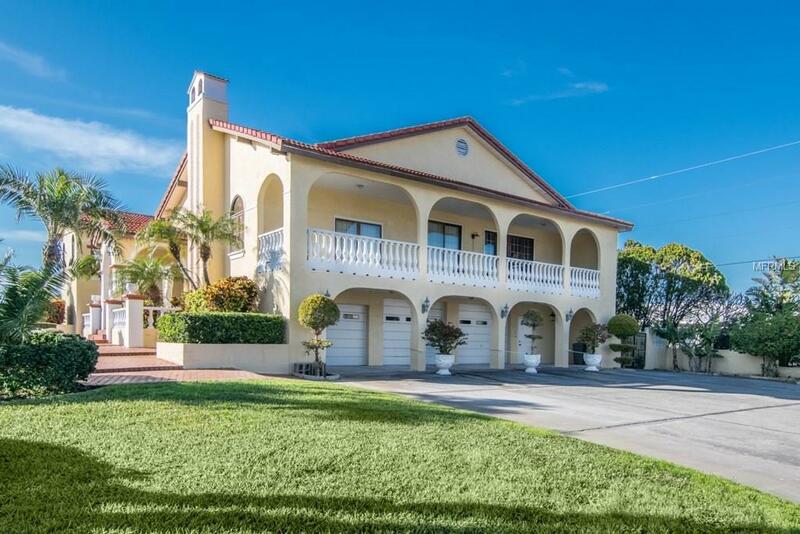 Welcome to beautiful Belleair Beach, this palatial home sits on a corner lot across from the community dock, providing a view of the Intracoastal. In grand style, this residence features a circular driveway and expansive stone steps which lead visitors to a second level landing that serves as the main floor. On this main level, everything you need for everyday living is at hand. This includes views of the Intracoastal from just about every window and an expansive covered porch, separate formal dining and living rooms, a large wet bar, an oversized wood-burning fireplace, an updated kitchen with stainless steel appliances and hardwood cabinets. In addition to these impressive amenities, three full bedrooms and two baths make up the rest of the main floor. 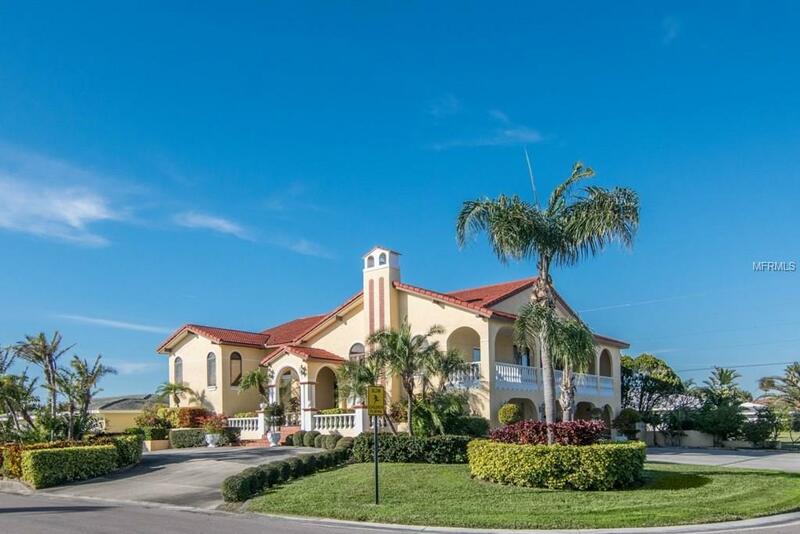 Go down a flight however and theres still ample room for additional overnight guests or live-in help, for this ground floor includes a full kitchen, family room, bedroom, bathroom and even Florida room. Even better yet, this house contains a large, three-car garage with shelving throughout. 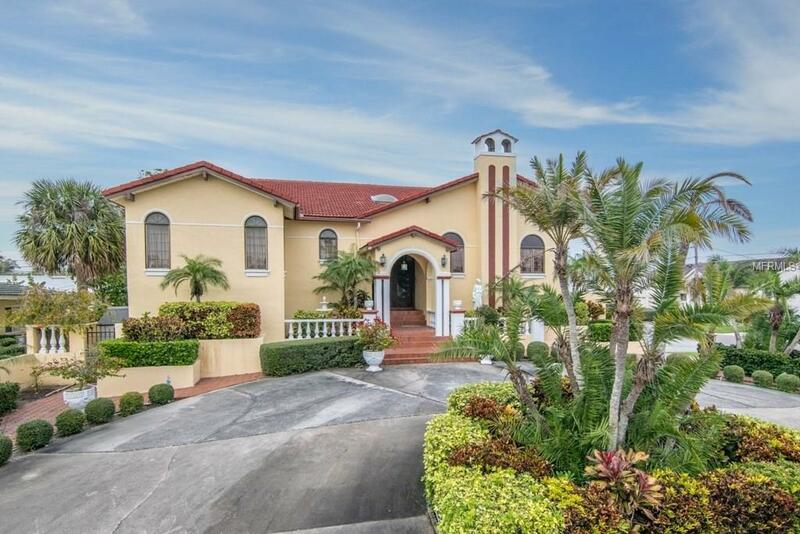 This location is a short distance from beach access to the Gulf of Mexico. 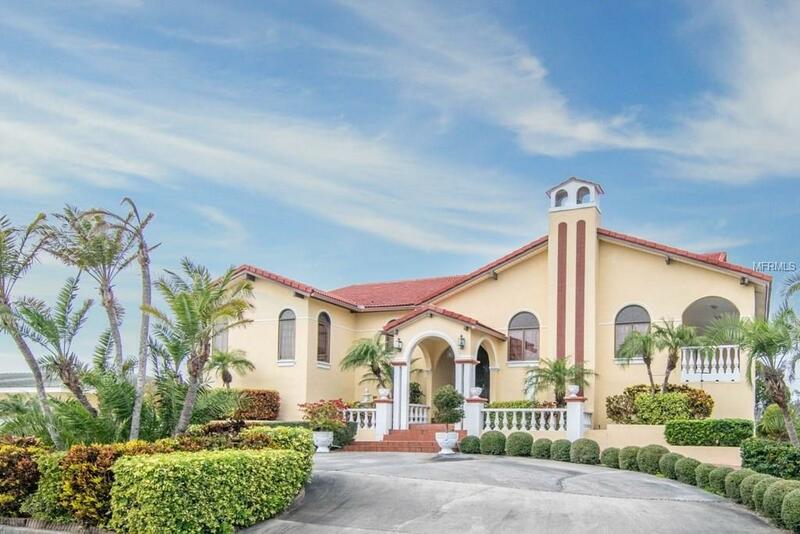 Dont miss this opportunity to find a large and impressive home on desirable Belleair Beach.